UnboxSEO.com leads by Adam Yong, a SEO Specialist from Malaysia. He regularly shares his expertise in SEO marketing to start-up business owners who are also interested in increasing their online visibility and gather more customers through their websites. He has a strong background in web-based applications having worked as a technical developer, specializing in Microsoft platforms. In 2005, he started his first online ecommerce shop but didn’t get much success. He realized that targeted traffic is one of the most important factors to generate more sales. He learned about search engine optimization strategies from various SEO books, marketing communities, and experts around the world. It is through this self-learning process that he realized the significance of off-page optimization in increasing a website’s search engine rank. But this also requires extensive link exchanging, which can mean such a huge task in SEO terms. To address this, Adam created his own automated link exchange portal, www.autolinkmanager.com. This portal allows the user to exchange links with other website owners, in an easier and faster way. (Note: this type of link building strategy is no longer used because link exchange is not recommended by Google now). 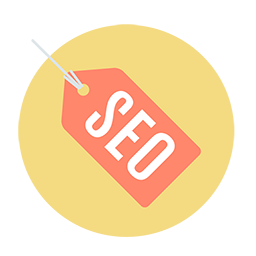 At the same time, he tried and tested numerous SEO strategies on his own online ecommerce store. He got amazing results successfully ranking his website in the top 10 in organic search results of Google. A year later, he changed his focus to become a SEO specialist till today. SEO can be a challenging industry to be in, given that the rules are constantly changing. This requires continuous learned and a positive attitude to get going. Fortunately for Adam, he has remained afloat in the industry and has started helping out other starting companies in Malaysia and Singapore achieve their own free targeted traffic, and improve website visibility through the numerous search marketing strategies. To stay updated, he also continue learning from SEO experts from around the world. Being a start-up business owner himself, he recognizes the difficulties of other companies in making it to the top of the search engine. There is also a prevailing perception that SEO Companies can be highly expensive and risky. Adam, wanted to change this and offered realistic SEO solutions for small business owners. His main goal is to allow these business owners get the most out of search marketing. 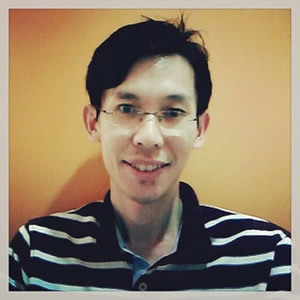 He led a professional SEO team (www.adam-seo.com) and helped numerous business owners start their SEO marketing and increase their sales online in Malaysia for the past few years. His team launched the “Unbox” SEO program globally with hopes to help more business owners to benefit the power of SEO marketing at Zero risk. Today, his clients come from various countries including Malaysia, Singapore, China, Australia, and United Stated. We offer “Unbox” SEO program to let business owners try the power of SEO marketing at Zero risk. Our clients come from various countries including Singapore, Malaysia, China, Australia, and United Stated.